Kylie, going on 21, has her struggles deciding what to wear to school every morning. So she and Mommy picked out her clothes for the week ahead of time. 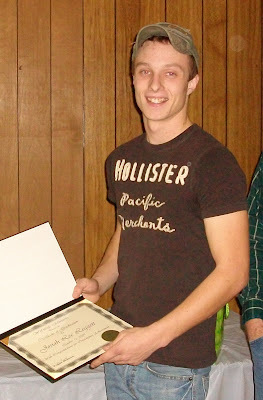 Here's Josiah at his graduation with his diploma. Josi, we're so proud of you! So he can access it wherever he is, I'm posting Josiah's transcript for future use of employers and college admissions officers.